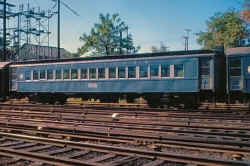 Combine baggage/passenger Pullman Palace Car Co. 1898 #501-520 sold 1926 to Georgia Car & Loco Co.
Foundry 1898 Last wooden car produced for LIRR 1898 wooden LIRR parlor car. 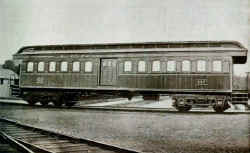 Day Coach Jackson & Sharp 1899 In 1876 Jackson & Sharp received a Centennial Award at the Philadelphia Centennial Exhibition, in the “railway plant, rolling stock, engines” category for its passenger, boudoir, and library cars. 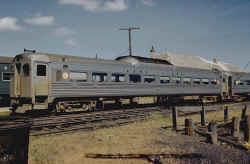 B74a Pullman Horse Express Cars: The numbering of B-74a was changed from 5551-5555, 5561-5565, and 5766-5775 to 5800-5819 at the time the names were applied. 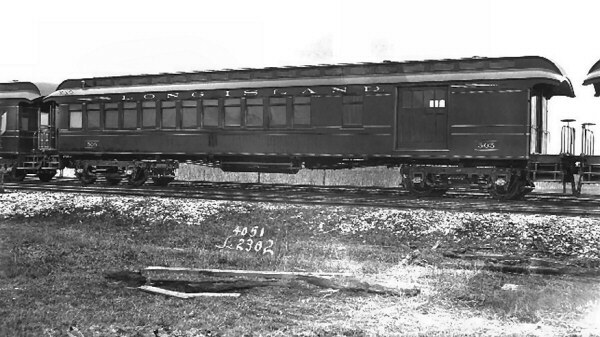 Over the years various names were applied to the cars. 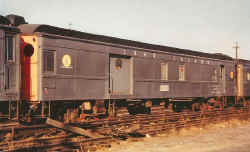 Capacity 24 horses; two stalls on each side of the three doors. 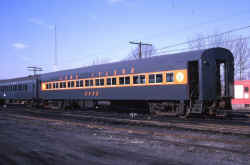 PRR B74b Horse express car - "Eastern Racing Association Suffolk Downs"
The PRR horse cars were class B74a/b. 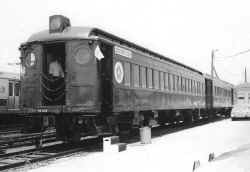 From the outside they looked like baggage cars except they had 3 doors per side and a pair of stalls on either side of the doors to transport twenty-four horses maximum. 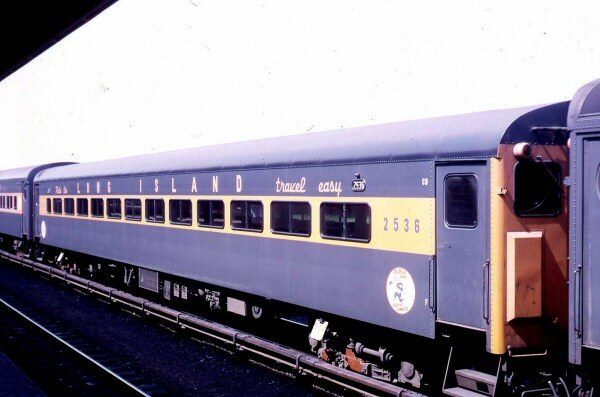 The PRR named all the cars; Atlantic City Racing Association, Aqueduct, Dell Mar Turf Club, Metropolitan Jockey Club, etc. 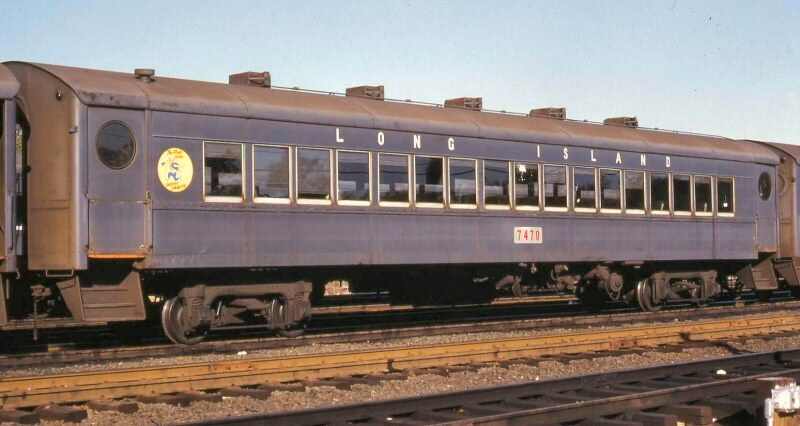 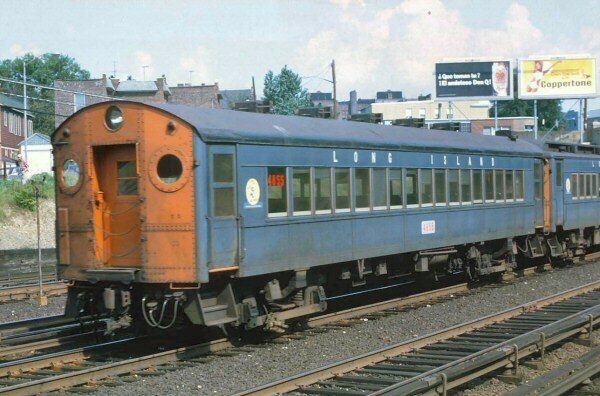 Starting in December of 1954, the LIRR began an extensive modernization program of all classes of equipment that included complete mechanical rebuilding, new interiors and new numbers to reflect the upgrading. 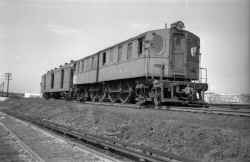 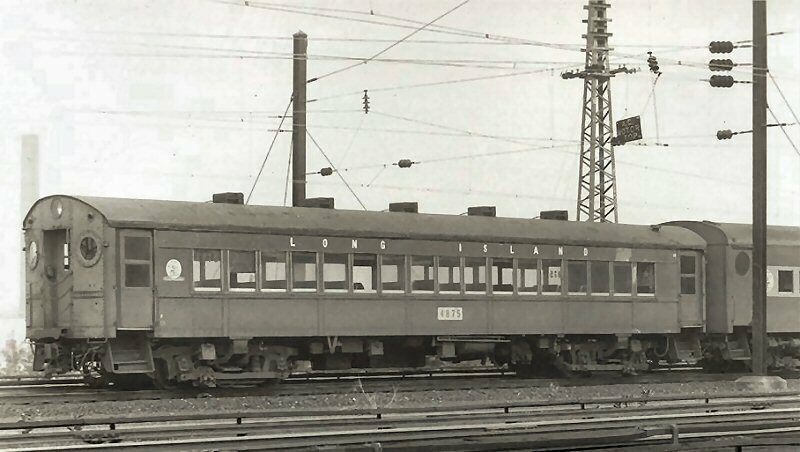 The newly reworked cars were numbered into four number series: 4000 for control motors, 5000 for motor trailers, 6000 for MU trailers, and 7000 for steam coaches. 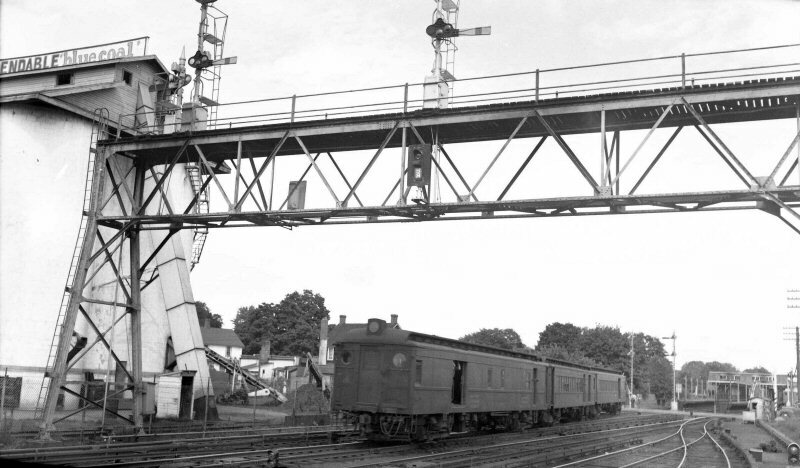 They had clerestory roofs and came in 1930 to replace 50 P54D "pings" that were converted to MU control motors 1944 to 1983, later renumbered into the 4000 series. 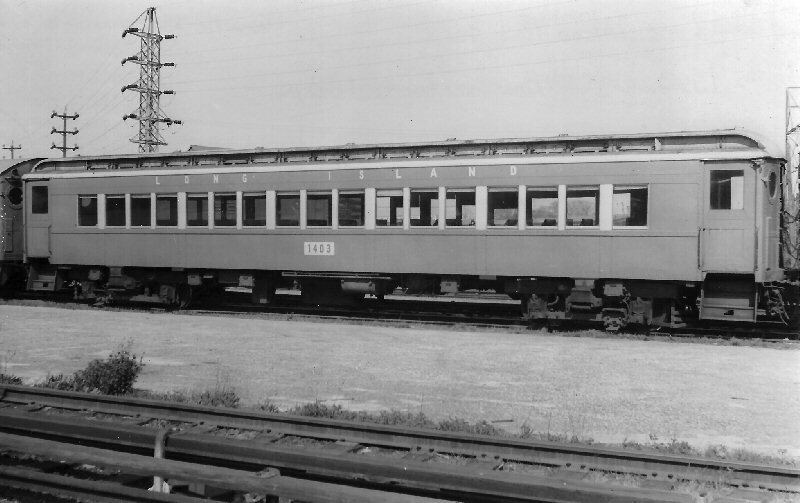 P54D American Car & Foundry 1927 #1-138 74 cars modernized starting 12/1954 and renumbered as part of 7000 series (7002-7481, not all inclusive) Referred to as "ping-pongs". 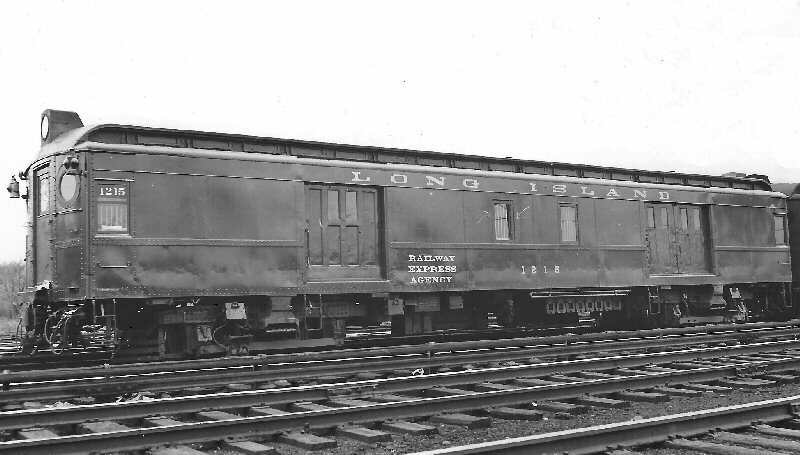 Note the "Futura" lettering which was considered VERY modern for 1939-40. 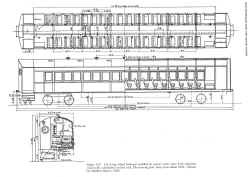 MP54 means Motor/Passenger car which is 54' long. 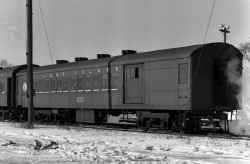 (there were also "blind motors" which were MP54 cars with no windshields and which were placed within the consist of a train to provide additional power to assist the lead MP54 which was NOT blind. 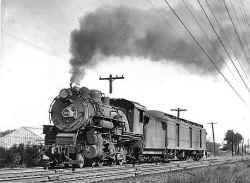 Sort of like a steam locomotive coupled in the middle of a freight train with no view of the road ahead, positioned only to assist the lead steam locomotive(s) in hauling the train. 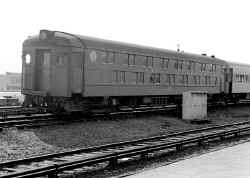 T39, T54 means Trailer cars (no motors) which are 39' or 54' long and were placed in trains with a motor car (MP54) at either end. 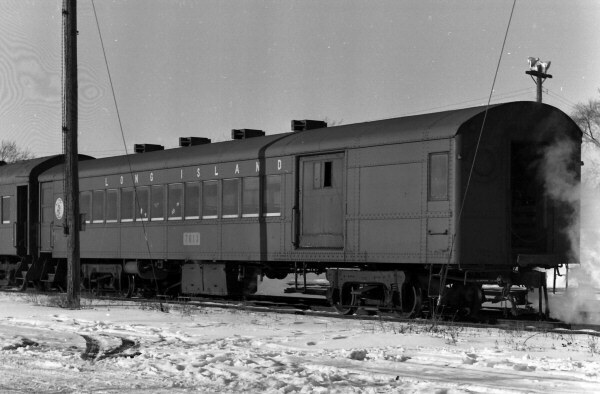 MPBM54 means Motor/Passenger/Baggage/Mail cars which are 54' long. 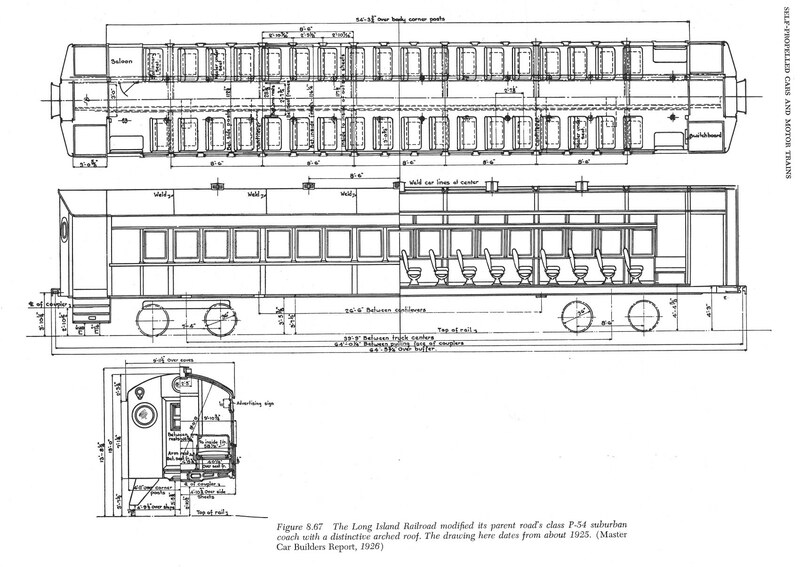 MBM62 means Motor/Baggage/Mail cars which are 62' long, with no vestibules. 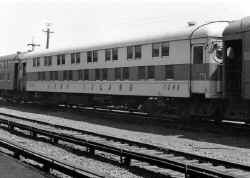 Note: MP54's, were about another 10 feet longer, 5 feet for each vestibule at both ends of the car, at 64' than the MP62 series. The seating capacity was for 69 passengers. 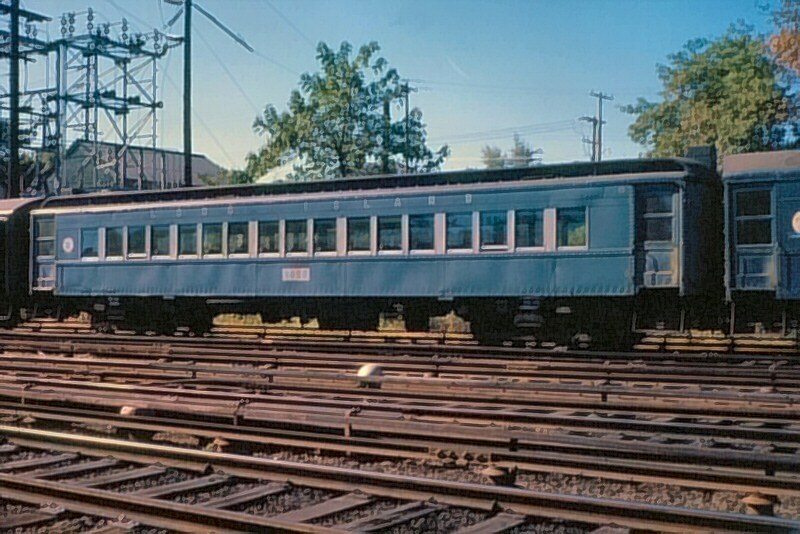 These cars had a special safety feature which was a door interlocking device, or signal light, indicating to the motorman that the doors are closed. 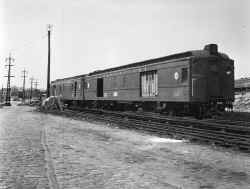 Each car had train control and had roller bearing trucks. 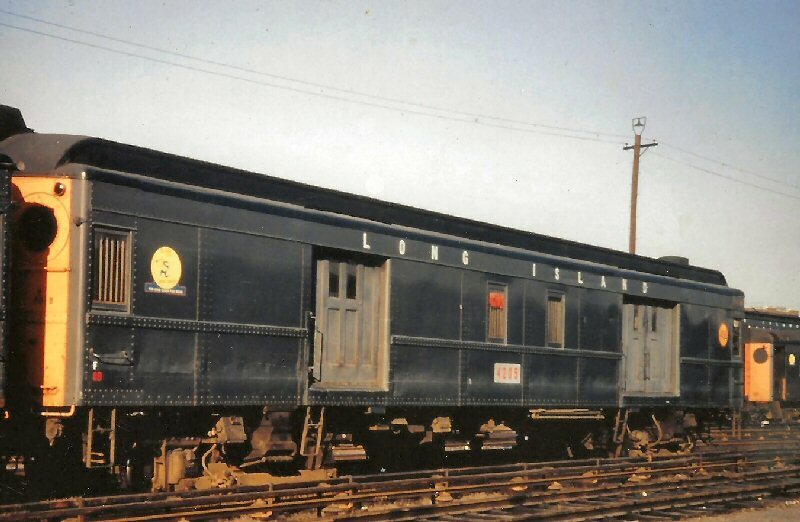 Additional lights made for better lighting. 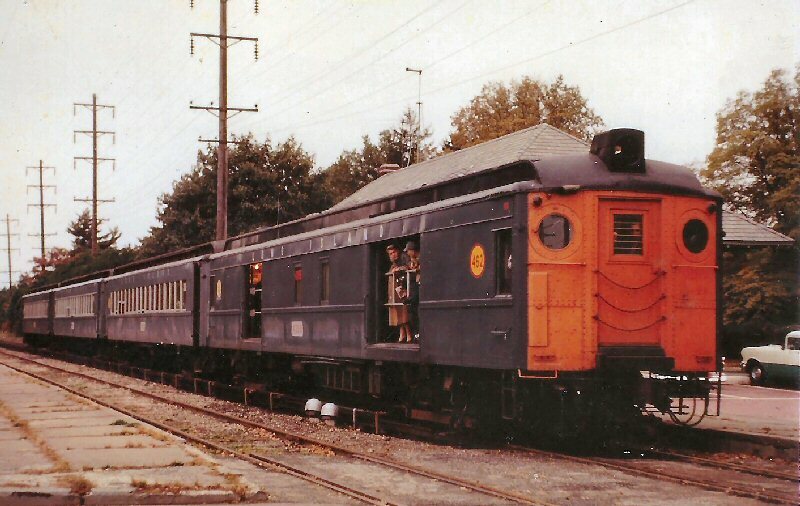 These new cars and the conversion of 40 P54D steam cars to control motor MP54D1's allowed the railroad to run 12-car MU trains. Its easiest spotting sign are the lack of deck sash and only THREE utility vents along the side of the roof for ventilation. 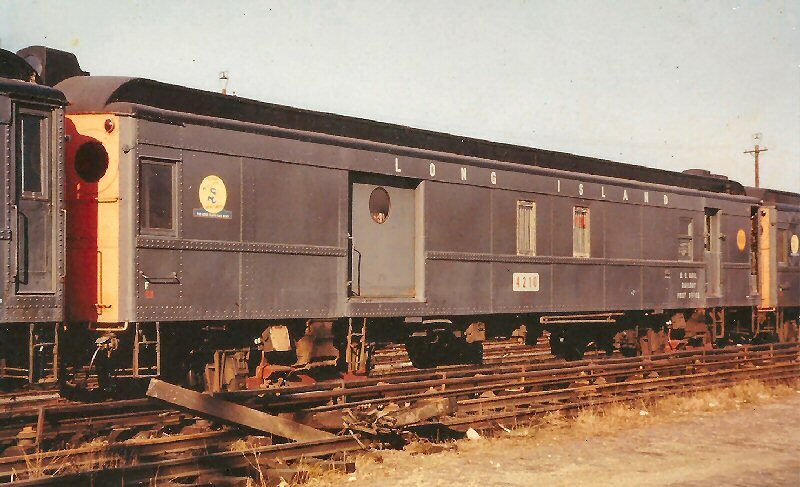 Also, the end door is more recessed, due to improved and thickened collision posts. 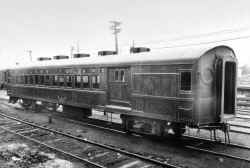 The cars also had end drip strips above the storm door at the ends of each car. 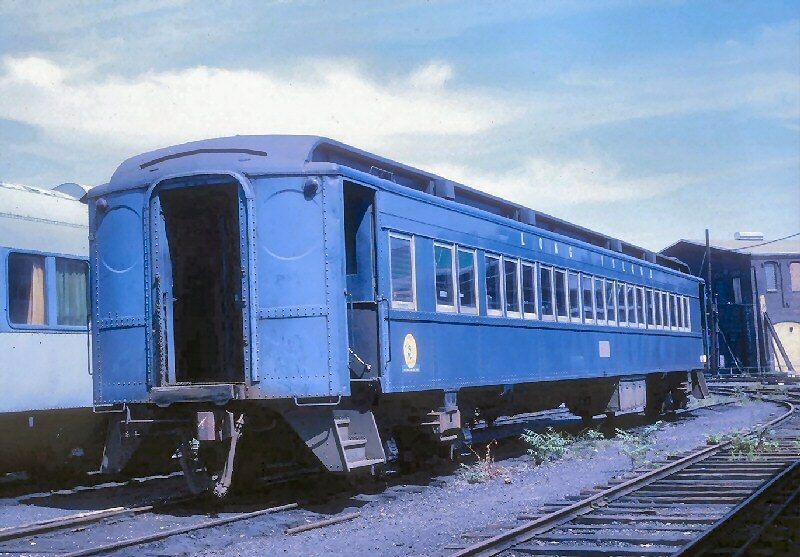 cars went into stock used for other MU cars that were equipped with Automatic Speed Control (ASC) and used at headend cars when the State of New York forced the railroad to operated with this feature following the two big 1950 crashes with much loss of life. 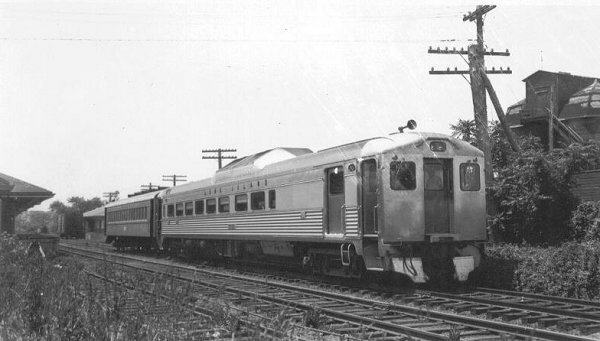 About half of the fleet of MU cars received ASC, the remainder did not. 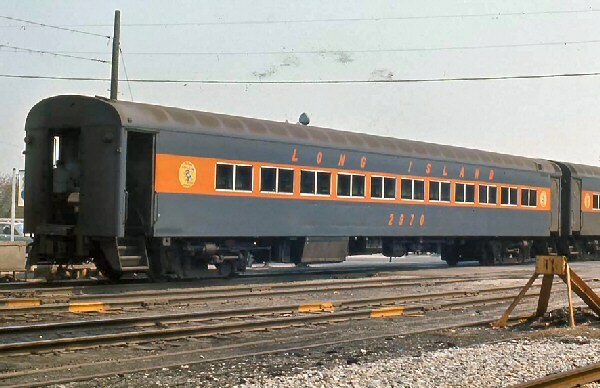 This was a big savings of money; in fact, the LIRR was so broke that the PRR and New York State paid for the installation of ASC. 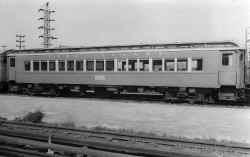 This was a new class of car; as until this time, the railroad had only control motor cars and trailers, but after 1951 this all changed. 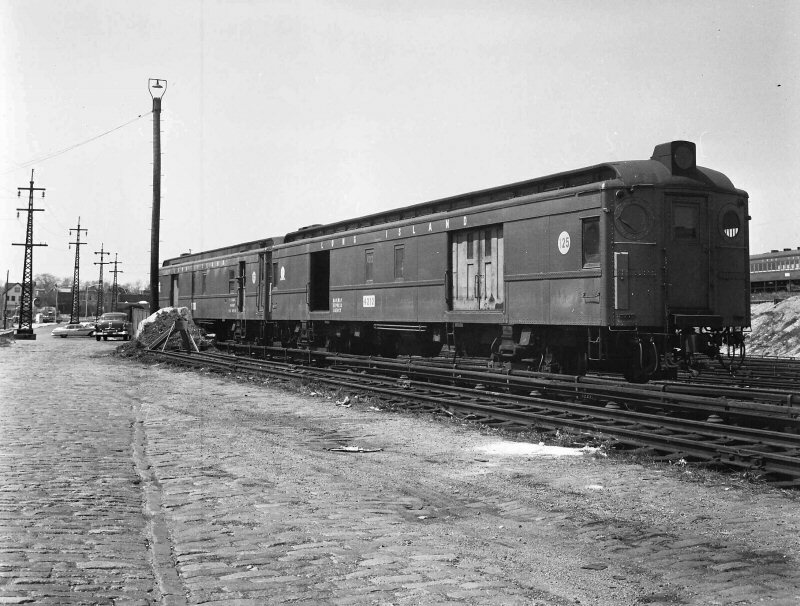 Not until 1953 and 1955, did the railroad buy new motor trailer cars, specifically built as such by Pullman-Standard. 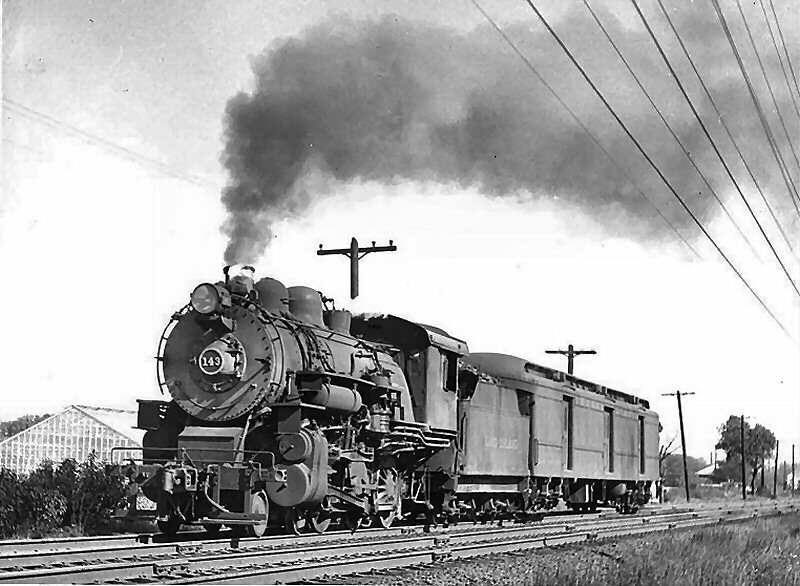 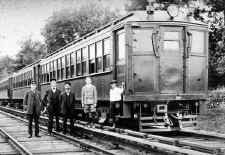 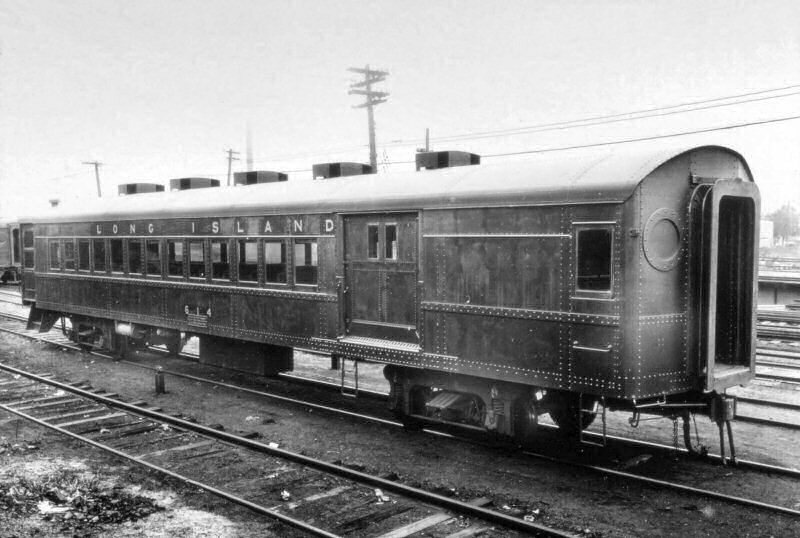 Many control motor cars ran in trains and did not have ASC and thus used in mid-train service, even though they specifically were NOT converted to motor trailers. 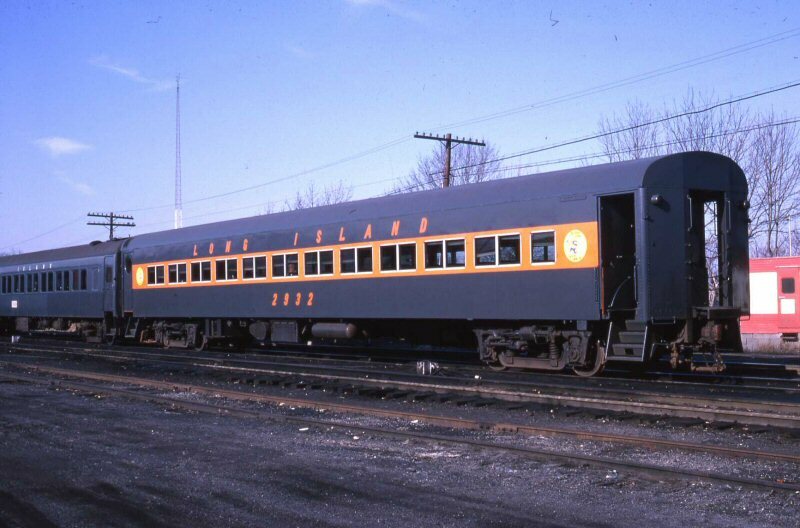 With the car rehabilitation program in 1955, these cars eventually had their controls removed and were renumbered and rebuilt into the 5000-series of cars. Part of the first MP54s on the LIRR, it was converted to a motor trailer with the same car number. 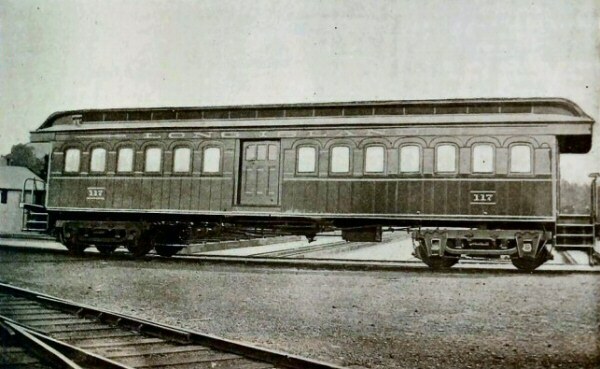 Perhaps the shops got lazy or forgot to removed the headlights. 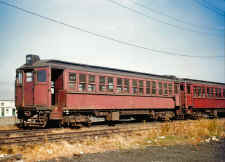 Built in 1908 and was the last car of the class MP54. 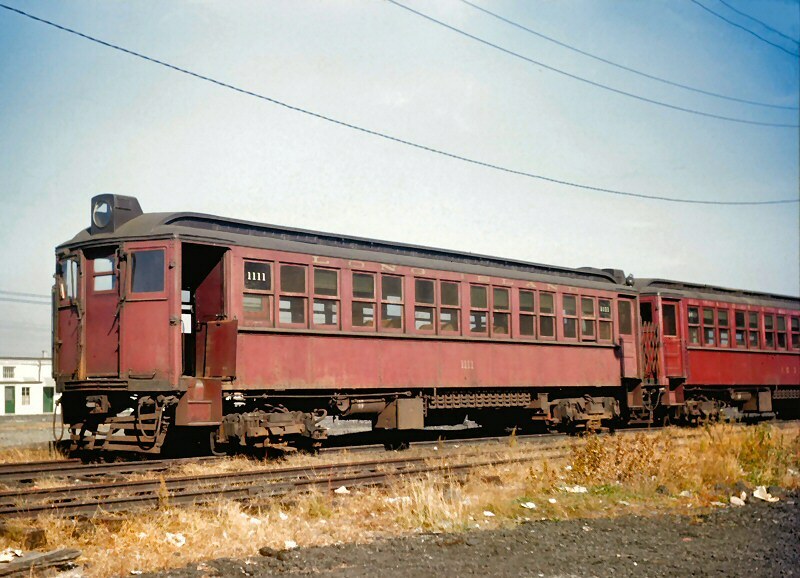 Car 1451and up were class MP54A; these had slight changes in seating, other modifications, and were a few inches longer than the earlier MP54 class cars. 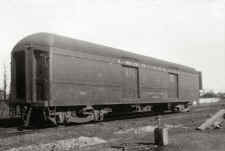 The first car is one of two MU motor baggage mail cars, class MBM62 1209 and 1210 that were originally ACF in 1925 to have a mail compartment constructed at one end of the car. 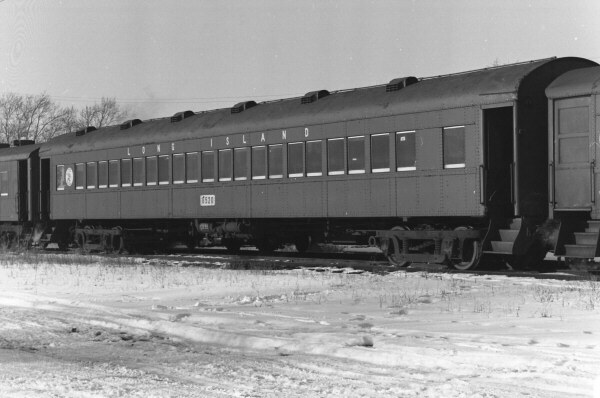 Some time later a small engineer's compartment door was added to the right side of the car on one side only, the side that had a 6-foot baggage door on the left. 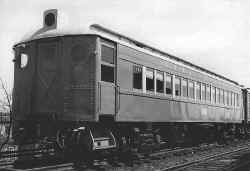 Remember, the other side of the car has the mail compartment, but the baggage end has double sliding doors that are about 8-feet wide. Look for the mail compartment on the two MBM62's, and that will tell you whether it's a MBM62 or a straight MB62. 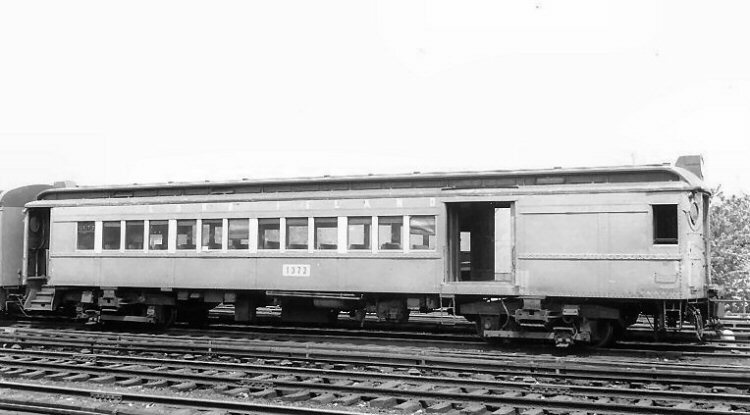 The MB62's have two windows between the doors and a small window at each end of the car. 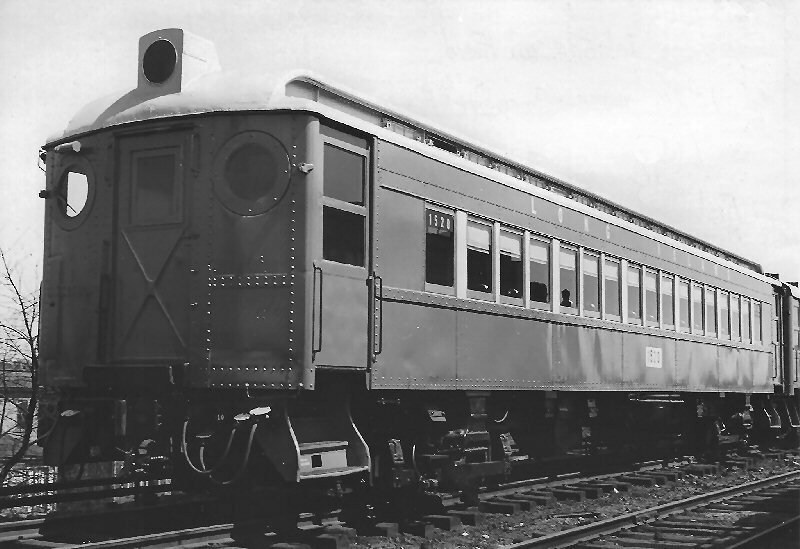 It's a different look for the MBM62's, a fascinating car and almost as unique as the second car in this consist, an MPBM54. The second car is a Motorized Passenger Baggage Mail MPBM5 car and both sides of the car are a little different in the baggage-mail area. 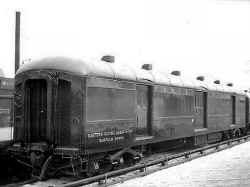 Baggage-mail MU's were 1205-1219, although 1215 and up were used as diesel cars, with 1217-1219 running all their years as steam/diesel cars. 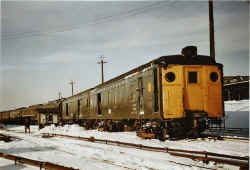 737 Mail compartment added in late forties, class changed to BM60, was rebuilt to wreck train car W-57. 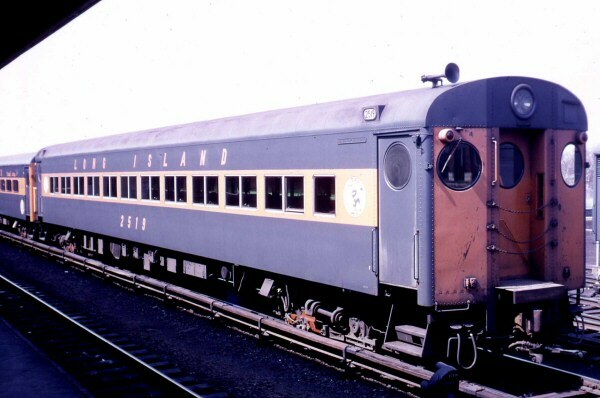 Modernized 12/1955 and renumbered #7723. Withdrawn from service 1970. 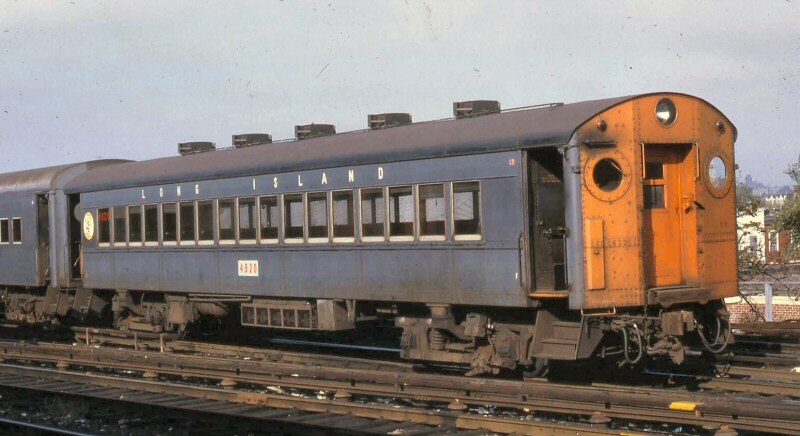 This was a BRT-style coupler, as these MP41 cars were built to run in joint LIRR/BRT operation (which ended in 1917) and were even nicknamed "Gibbs Cars" after the guy who designed the similar electric passenger cars for the BRT. 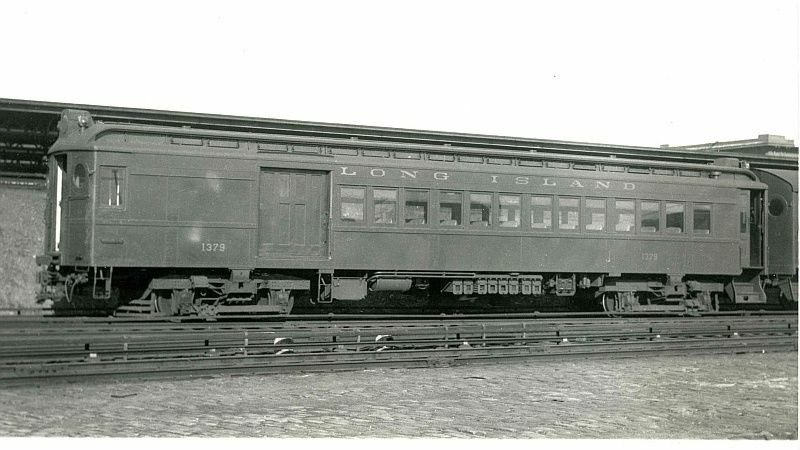 After purchasing a bunch of these cars in 1905 for operation in newly-electrified territory, the LIRR purchased new MP54 cars in 1909-10. 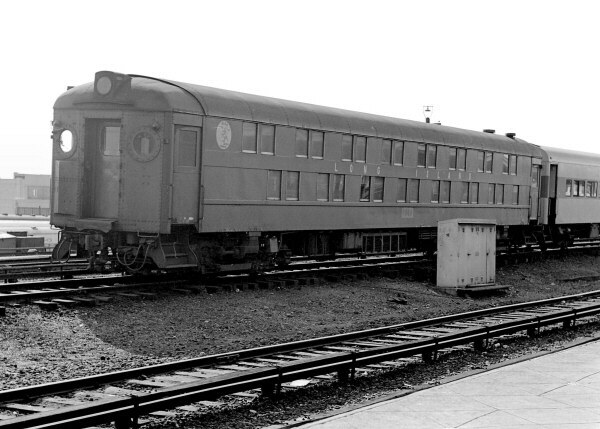 The shorter, MP41 cars were eventually relegated to rapid-transit service along the Atlantic branch and the longer and newer MP54 cars were used in the rest of electrified territory. 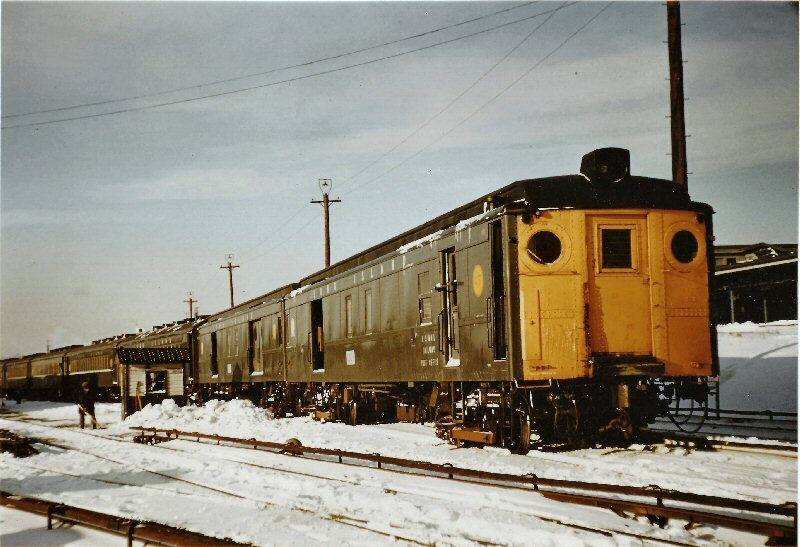 I've never seen the coupler pushed over to one side like that. 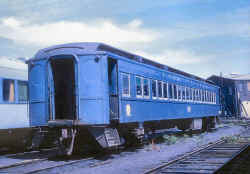 A single MP41 was first used in Mitchel Field shuttle service starting in 1933 after the ex-Ocean-Electric streetcars were taken out of shuttle service. 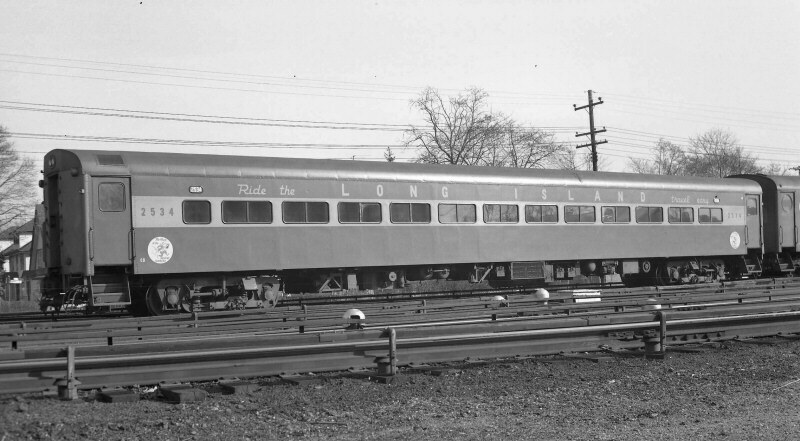 Photographic evidence shows MP41 car #1100 and MP41 car #1101 both used in one-car shuttle service in 1933-34. 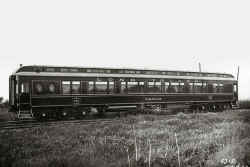 The single MP41 car had a 2nd car added to it after April, 1934 (photographic evidence) and ran as a 2-car train up to 1950. 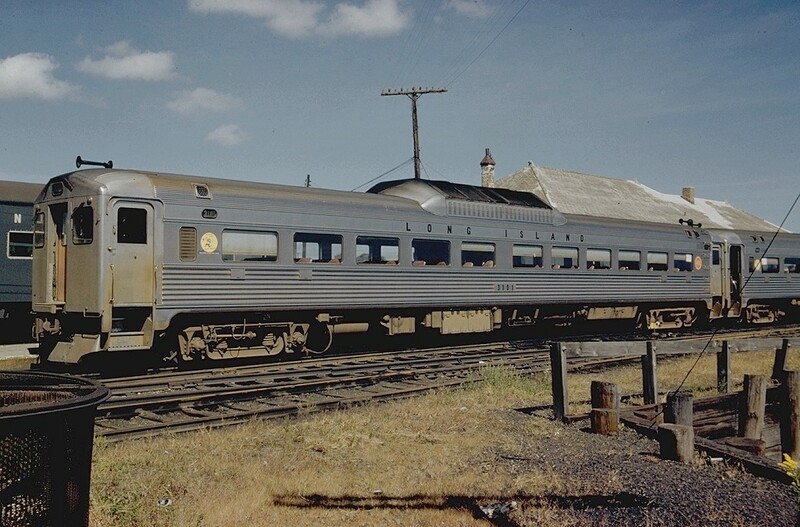 Photographic evidence indicates there were two sets of MP41 cars used in shuttle service. 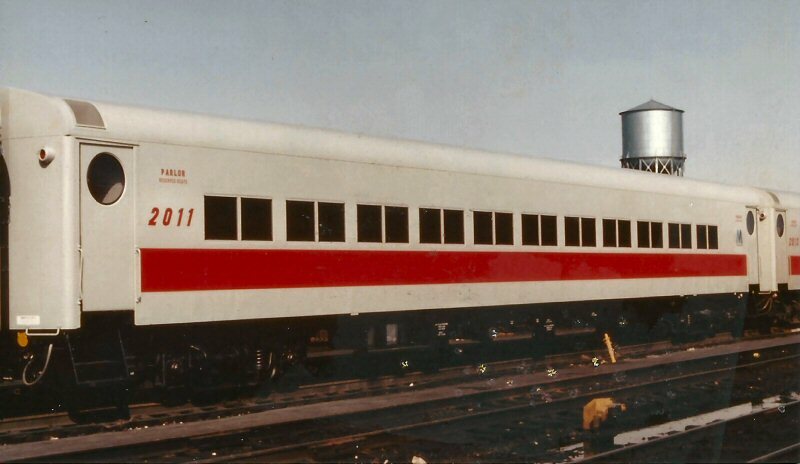 One set consisted of MP41 cars #'s 1092 and 1089, and one set consisted of MP41 cars #'s 1100 and 1101. 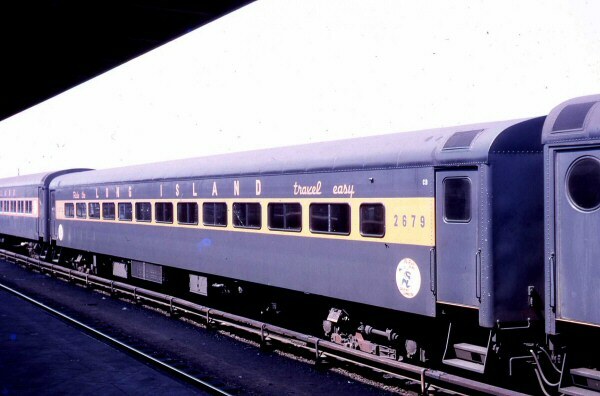 PP72B Pullman Standard 1955-56 Nos. 2011-2021 Push-pull Parlors were rebuilt former MU trailer cars (Class MP72T) converted to diesel-hauled push-pull service. 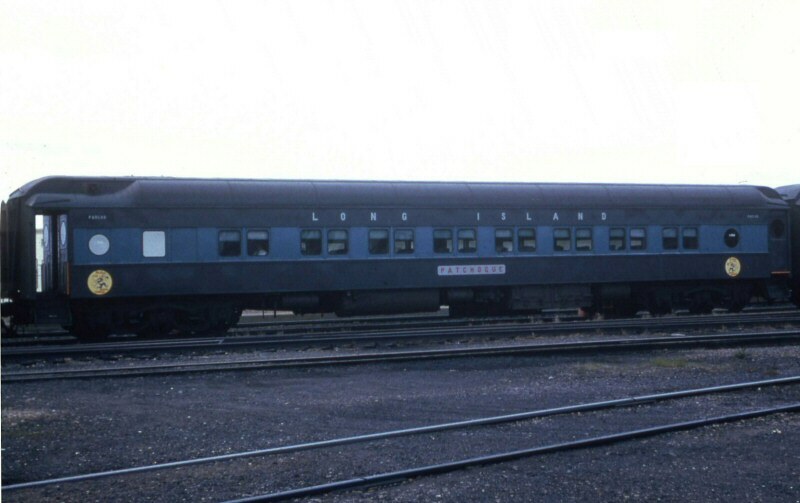 But only 2833, being used almost exclusively in push-pull parlor service, got the red stripe.